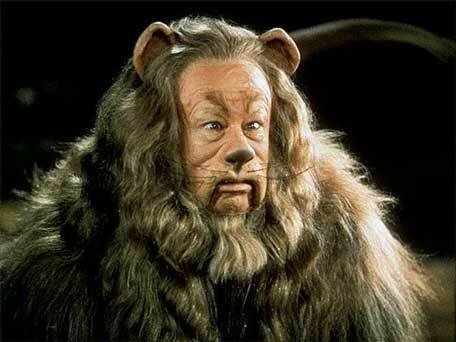 "the quality of mind or spirit that enables a person to face difficulty, danger, pain, etc., without fear; bravery"
I'd like to think I have the courage to deal with adversity and this Big C journey, but lately, I must admit, I feel more like the Cowardly Lion. These days I'm pretty much afraid of my own shadow. I think this lovely infection kind of put me over the edge, took the wind out of my sails, knocked me on my big ole (15+lb) behind, and weakened my roar. Life has gone on of course and I drag the same big ole behind out of bed each morning and do what I do...live, because it really is a gift; I move forward one day (and sometimes one moment) at a time. 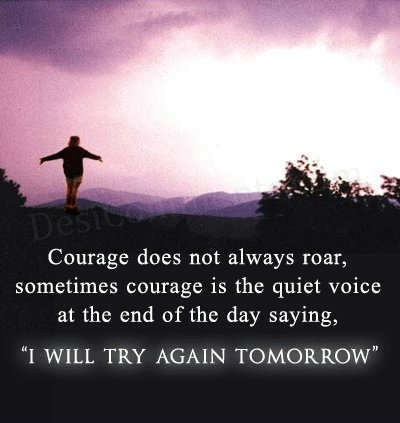 I'm not paralyzed by my lack of courage, it just sort of creeps in to pester me throughout each day. On the day before a cleansing treatment it just pesters me a little bit more. Yes, tomorrow will be cleanse number 6 and I still get nervous. But, all is well, because tonight I'm working on my roar.